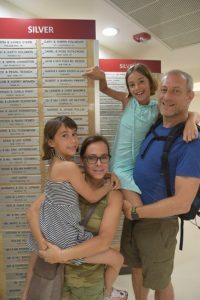 On a recent visit to Israel in July, the Solursh family toured the hospital with their two daughters and were very impressed with its complexity, attention to detail, and a constant pursuit of excellence. We are very grateful to the Solursh family whose support over the years has included funding of a Pediatric Nephrology Creative Arts Area in the new Wilf Children’s Hospital. After arriving in Canada in 1948 following the war, a young Mark Nusbaum and his family settled in Halifax. He enrolled in the dentistry program at university and married his late wife Edith Juda in 1960. Dr. Nusbaum enjoyed a successful career in dentistry, is a businessman and philanthropist who supports several local hospitals, educational and Israeli charities. Dr. Nusbaum recently dedicated the gift of two oral surgery chairs and equipment for the oral surgery department at Shaare Zedek Medical Center in Jerusalem in loving memory of his late wife Edith. In the photo taken at Shaare Zedek in July, Dr. Nusbaum is surrounded by his loving children and grandchildren. He is blessed with 4 daughters and 23 grandchildren. We are very grateful to the Nusbaum family for their very generous gift which benefits the newly established unit for Oral and Maxillofacial Surgery. 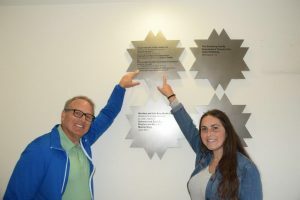 Michael, his wife Rochelle and daughter Shayna, visited the hospital recently to see the plaque recognizing an estate gift from Michael’s uncle, Joseph Kerzner, which provided a single-bed room in the Stroke Unit as part of the Helmsley Neurological Institute. Over 1200 cases of strokes have been treated in the Institute since opening. The Kerzner family has ensured that thousands of stroke patients will receive world class medical care. Donors Andy and Marjorie Gann toured the hospital recently. The Gann’s generous gift of a patient monitor is in appreciation of the doctors and nurses who provided their daughter Eleanore with excellent care while she was a patient. 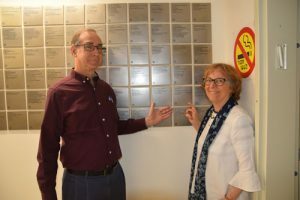 Donors, Jack Feintuch and John Kaplan attended a dedication of a Pediatric X-Ray Room located in our Pediatric Emergency Area which was made in memory of Joseph and Faye Tanenbaum. 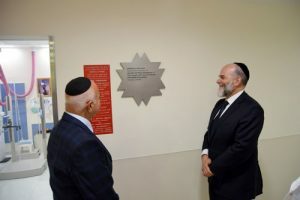 The dedication was attended by, Professor Jonathan Halevy , Director General of SZ, who hosted the dedication, Professor Yechiel Schlesinger– Head of the Wilf Children’s Hospital, Dr. Matti Erlichman – Head of Pediatric ER, Dr Ofer Binyaminov – Head of Imaging , Dr Ruth Cytter-Quint– Head of Pediatric Imaging, Shlomi Hazzan – Chief Technician responsible for all imaging equipment in the hospital, Matti Hoffman – Chief Pediatric Imaging Technician, Avraham Harari– Deputy Director of SZ for Administration , Gadi Ilan – Deputy Director of SZ for Administration, and additional staff. During the dedication, Dr Binyaminov spoke about the current expansion of the imaging facilities in Shaare Zedek and the importance of having essential diagnostic tools, such as a new X-Ray room adjacent to the busy Pediatric Emergency Room. 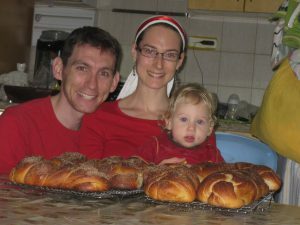 On an erev Shabbat this past August in Israel, I experienced some back pain and a slight headache. The next day however, I could hardly bend over to get out of bed. Feeling feverish, I passed out a few times after which I went to seek medical care at an emergency after-hours clinic. There, I was given fluids for dehydration, advised to increase my iron levels and sent home, though my condition had not improved. The next morning, after passing out again, I went to Shaare Zedek Medical Center in Jerusalem, for emergency treatment. The next two weeks I remained in hospital, where I underwent many tests and received I. V. antibiotic treatment for a very dangerous Strep A infection in my blood. What I experienced, in a department that was filled to capacity with patients, were nurses and doctors who always treated each patient with respect and compassion. I always felt that the doctors took time to listen and explain things to me, even when they were pressed for time. In the moment, when a doctor was with me, I was made to feel like I was the only patient on their mind. There are two nurses working in a department with approximately 30 patients. While the nurses are extremely busy caring for an overwhelming number of patients, they maintained a friendly and warm demeanour, even for those patients who were more challenging or demanding. I was impressed that my nurses would provide even the littlest things to help me and other patients, feel as comfortable as possible, and they never revealed how overworked and exhausted they must have felt. One of our nurses, Na’ama, even went so far as to offer her daughter to provide overnight babysitting services for my children, so that my husband could be with me at the hospital. Her offer went above and beyond her professional responsibilities and demonstrated the sincere and heartfelt care that I received. There were three significant highlights which resonated most about the care that I received as a patient at Shaare Zedek. I was extremely impressed by the excellent medical care and level of professionalism from the staff and physicians. Each doctor consulted with a team of specialists to provide not only a patient centred approach to my care, but a truly comprehensive and holistic experience. They arranged for my tests, MRI, CT, ultrasounds, heart echo, and abdominal fluid drain to happen quickly in order to avoid any delay which might have otherwise caused the infection to spread or increase in severity. There were many doctors who followed my progress, checking in to ensure that my condition was improving. Another standout was the pluralism of the hospital. The staff and patients come from every sector of Israeli society. Jewish, Christian, and Muslim medical staff, from the most secular to the most strictly observant, who care for patients from every possible background: Secular Jews, Chareidi Hassids, Korean tourists, Bedouins, Palestinians, Israeli Arabs, Christians, and even prisoners in leg shackles, will all receive the same world-class medical care. Despite how sick I felt, I experienced a great surge of pride to be an Israeli and a sense of hope for a society that could be modelled after the outstanding co-existence which is evident at Shaare Zedek Medical Center. Finally, what I found most impressive was how significant and important I was made to feel by all the staff. I was treated like a person, not just a patient. Doctors remembered me and my medical history; nurses anticipated my needs to make me more comfortable, and even the nutrition staff worried when I didn’t eat. In spite of an obvious lack of resources including wheelchairs, nursing staff and state of the art hospital beds, Shaare Zedek provided excellence in patient care and should be credited with saving my life. Loretta and Roy Tanenbaum have been loyal supports of Shaare Zedek Medical Center in Jerusalem for over 20 years now. Their connection to Shaare Zedek began when their son was born and subsequently treated in the hospital’s Neonatal Intensive Care Unit. The ties were strengthened when several of their grandchildren were born at Shaare Zedek many years later. 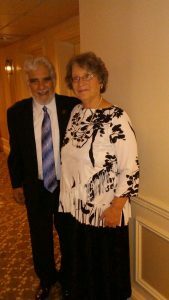 Recently, when Roy and Loretta learned about the plans to open a new Brain Center at Shaare Zedek from our newsletter, they felt compelled to help and find out more. The news resonated with the Tanenbaum’s as Roy suffered a stroke in January 2012 and was fortunate to make a full recovery thanks to the quick response from a Canadian hospital team. The Tanenbaum’s experienced first-hand how important it is to react quickly in an instance of stroke and how immediate treatment can save a life. Learning that Shaare Zedek is raising funds toward the $15 million needed to open the new Brain Center at the hospital struck a chord with Loretta and Roy. Their recent gift of an Intracranial Suction Set for the hospital’s neurosurgery department will help save lives. With their long-lasting fondness for Shaare Zedek and their personal experience, they felt that supporting such a worthy cause was a perfect fit. Mr. Joseph Kerzner was born in Poland in 1924. He came to Canada with his family in 1930. Having graduated as a Chartered Account, Joseph went on to become a pioneer developer of neighbourhood shopping centres in Toronto, starting in the 1950’s. He was a successful business leader, community philanthropist and activist. Among the many charitable causes he supported, he had a soft spot for Shaare Zedek Medical Center in Jerusalem. Joe was first introduced to Shaare Zedek through his good friend, Kurt Rothschild. Kurt was involved with the hospital and asked Joe to join him for a meeting with the newly appointed Director General, Professor Jonathan Halevy. During that meeting, Professor Halevy told them about the new research he was working on at Shaare Zedek, the objective of which was, to test all pregnant women for the Hepatitis gene so as to ultimately prevent the virus from being transferred to an unborn child. Joe was so impressed and fascinated with this research endeavour that he decided to support the program at the hospital. Little did he know, but eventually this innovation would be implemented in every hospital in Israel and become part of the Israeli government vaccination program. Over the years, Joe’s passion for Shaare Zedek and its work only grew. Professor Halevy and Joe became lifelong friends. Whenever visiting Israel, Joe made it his mission to spend time at the hospital and Professor Halevy made a point of providing personal medical care. Joe was inspired by Shaare Zedek’s philosophy of saving lives regardless of religion, race or gender. He became a member of the International Board of Governors for Shaare Zedek, often attending meetings or sending family members to attend them on his behalf. Throughout the years, he continued to support the hospital and his legacy lives on through his nephew Michael. Though Joe recently passed away, it was his intention prior to his passing, to ensure that a gift from his Foundation would provide lifesaving care to the patients at Shaare Zedek. Shaare Zedek is grateful for a gift of $300,000 that will fund a single-bed unit in the new Stroke Unit as part of the Brain Center under construction. Ensuring that thousands of patients will receive state of the art treatment in the Stroke Unit as a result of one man’s legacy is a heartwarming tribute to Joseph Kerzner. When Toronto philanthropist Joseph Lebovic was approached to support Shaare Zedek Medical Center he wanted his gift to make a huge impact. Shaare Zedek is undergoing significant growth and expansion as we continue to transform how health care is provided at the hospital. With several new departments scheduled to open in the coming months, Mr. Lebovic asked if there was an opportunity to give a gift to a department that was nearing completion. He wanted his support to ensure that Shaare Zedek would be able to provide the highest quality of care using state-of-the-art equipment. Mr. Lebovic gave a $250,000 gift of a new digital mammography machine this year. The impact of his gift will affect more than 65% of the women in Jerusalem who use Shaare Zedek’s new Diagnostic Breast Health Center for screening. Shaare Zedek has had a longstanding reputation as one of Israel’s pioneers in the diagnosis and treatment of breast cancer. The Diagnostic Breast Health Center is a comprehensive facility for the identification and diagnosis of growths and tumors in the breast. During his recent visit to Jerusalem, Mr. Lebovic made a stop at Shaare Zedek to see the mammography machine in operation and to meet with Director General, Professor Jonathan Halevy. We are extremely grateful for Mr. Lebovic’s generosity and continued support of Shaare Zedek. Mrs. Loretta Tanenbaum is one of the Canadian Foundation’s most loyal donors. She recently shared her personal story and connection to Shaare Zedek and decided to make a $5,000 gift to spread warmth and love to the tiniest patients in the hospital’s new Neonatal Intensive Care Unit (NICU). “My grandson Aryeh, now nineteen, spent the first eight weeks or so of his life in the NICU at Shaare Zedek. He was born in August, three months before our daughter’s due date of November. fed through a tube in his nose, only to watch her dissolve into tears when he couldn’t tolerate the feeding and threw it up. Israel serving 1,000 babies each year. In 1978, Barnet (Barney) Kussner travelled to Israel with his family for his Bar Mitzvah. 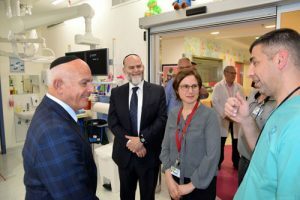 On the insistence of his late father, Dr. Norman Kussner, and his late uncle, Rabbi Dr. David Monson, the family toured the Shaare Zedek Medical Center just as the new facilities were nearing completion. Rabbi Monson was a founding member of The Canadian Shaare Zedek Hospital Foundation, and both he and Barney’s father strongly believed in giving back to an Israeli hospital and teaching their children that they could make a difference in the lives of others. Shortly after his father’s death in 1979, a generous donation was made to the hospital for a Duty Physician’s Room and it was subsequently dedicated in Dr. Kussner’s honour. That childhood trip to the hospital had a lasting impression on Barney and he has maintained his ties with Shaare Zedek. 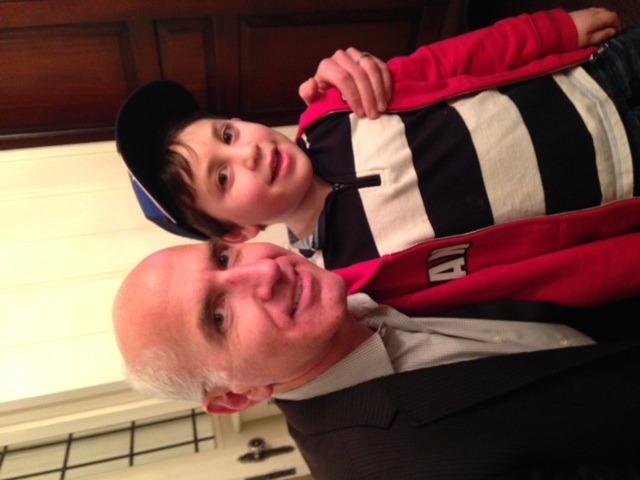 Recently, he agreed to Chair the Scotiabank Waterfront Marathon Shaare Zedek Run Committee in 2014. Barney will be leading Team Shaare Zedek as our runners participate on Sunday, October 19. Barney’s vision is for our runners to travel to Israel in March 2015 to take part in the Jerusalem Marathon. Carrying on the family’s philanthropic legacy is Barney’s younger son, Dylan. Dylan recently celebrated his 5th birthday and with the encouragement of his parents, he agreed to share his birthday gifts with a charitable cause. 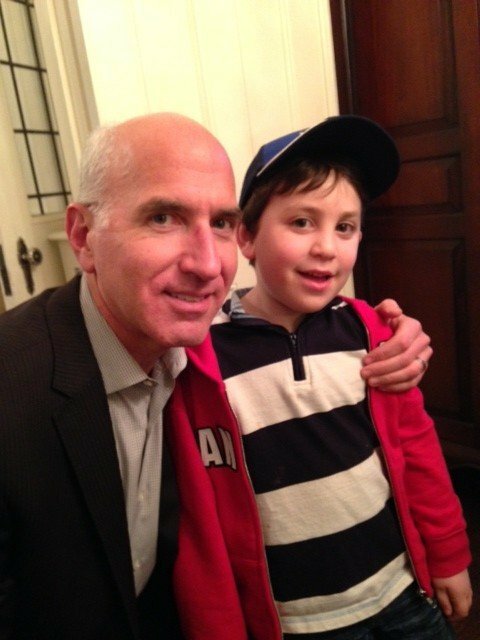 The Kussner family registered online for an Echoage party and invited guests to make a donation via the Echoage website, so that Shaare Zedek would receive a gift in addition to a group gift for Dylan. Not only did Dylan raise just over $300 for the Wilf Children’s Hospital at Shaare Zedek, but he has officially become our youngest donor and learned an important lesson about tzedakah. We want to give a special thank you to the entire Kussner family – Barney, Lisa, Harrison, Dylan and Emma – for their past and continued support. Please click on the link below and take a moment to meet our youngest donor! This past fall, Toronto mom, Pamela Bielak travelled to Jerusalem to personally deliver $20,000 worth of art supplies, including a sewing machine to the Wilf Children’s Hospital at Shaare Zedek. She was able to make this very generous donation as a result of charity she founded five years ago, named Crafting for A Cure. Pamela was inspired to create Crafting for a Cure to help children have a positive hospital experience. Personally, Pamela has a long history with The Hospital for Sick Kids in Toronto, after one of her twins was diagnosed with a lung condition following his premature birth. Pamela, along with her twins, would spend lots of time in the hospital’s ill-equipped Lung Playroom and she found it necessary to bring her own craft supplies to the hospital to help occupy her children during their long visits. Unsatisfied with the quality of the Lung Playroom, as compared to other well-funded playrooms through the hospital, Pamela raised a remarkable $50,000 over 10 years to pay for the renovation of the playroom her children used so much. Once that project was complete, she focused her efforts on assembling crafting kits in her home to ensure that other children would be just as entertained while visiting a hospital emergency room, clinic treatment room or surgical waiting room. Over 40,000 craft kits were hand-packed in 2013 and distributed to 83 hospitals throughout Canada, the U.S and Israel. 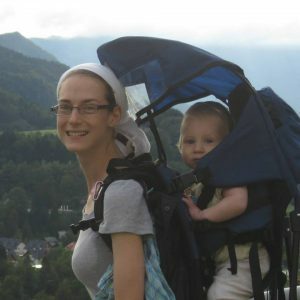 Pamela chose Shaare Zedek as one of her two Israeli hospitals for many reasons. Her brother who lives in Israel had all nine of his children at the hospital and more importantly, Shaare Zedek unconditionally treats all children regardless of their race, religion or country of origin. “Shaare Zedek is a personal favourite hospital of mine. The doctors, nurses and administrative staff were very welcoming and grateful for the donation. They made us feel truly appreciated for our efforts. What was especially rewarding was being able to sit with the children in the hospital and craft with them,” said Pamela. Pamela relies on corporate sponsors to help supply the craft materials and volunteers, including her now 15-year old twins to help package her craft kits in preparation for shipment to her chosen hospitals. She plans on providing Shaare Zedek with shipments four times a year, with a personal trip planned once again for fall 2014. We thank Pamela and her team for their generous donations and for brightening the hospital experience for countless children. The Canadian Shaare Zedek Hospital Foundation recently received more than $800,000 as a legacy gift that will preserve future Jewish generations. This most generous gift was received from the estate of Peter and Sabina Jablonski, a Holocaust survivor and his wife. One never knows where they will meet their bashert. For Peter and Sabina, it was at a post-office in Warsaw: love at first sight. It did not matter to either of them that Sabina was a Catholic and Peter was a Jew. Love conquered all. Their story was one of survival, love and righteousness. Peter Jablonski was born Nachman Fryszberg on October 15, 1920, in Lublin, Poland. Surviving Lublin and Warsaw ghettos during the early years of World War II, Fryszberg endured the Majdaenk and Trawinki concentration camps, from which he was able to escape. The Polish underground assisted Peter, while he changed his name to pose as a Gentile. By the time the Russian army entered Warsaw, Peter had protected and hid Walter, as well as three others, for five months. Sabina Myszkowski, born on October 27, 1921 in Janowo, Poland, left home at the age of 16 in search of work in Warsaw. She was never to return home again; nevertheless, she survived World War II, including the Warsaw Ghetto Uprising. It was while searching for addresses of his family and friends at a Warsaw post-office that Peter met Sabina. A lifelong love affair began. While living in anti-Semitic Poland, Sabina took a heavy risk in sheltering Peter, since she was Catholic. In 1949, Sabina and Peter married. Shortly after the war, Peter and Sabina were reunited with Peter’s then eight-year-old cousin George Mandelbaum and raised him for the next two years as if he were their own child. The couple moved to Israel before reaching Canada in 1952, settling in Thornhill. For 32 years, Peter worked in the commercial air conditioning and cooling industry, starting as an apprentice and ending his career as a field supervisor. Sabina was a seamstress. “When Peter arrived in Israel he was very ill and told me that if it weren’t for the special care he received in the hospital he would not have survived. We [George Saltzberg, George Mandelbaum and myself] chose the Women’s and Infant’s Maternity Centre at Shaare Zedek because Sabina always wanted to be a mother but, sadly, could not have any children,” stated Barbara Wojtas, Sabina’s niece. “Sabina was committed to Peter through their 65 years together (63 married). They were inseparable. Sabina loved Peter so much that she surprised Peter by voluntarily adopting the faith of Judaism as her own so she could be buried next to the love of her life,” said Wojtas. Sabina and Peter also gifted The Jewish National Fund, Canadian Magen David Adom for Israel, York Central Hospital, Mount Sinai Hospital and Gallanough Public Library. The Jablonskis’ legacy to Shaare Zedek will be used to create a Well Baby Nursery. Receiving the best patient care can mean different things to different people. For Kurt Rothschild, it meant a recent lifesaving experience at Shaare Zedek Medical Center in Jerusalem and he’ll never forget the extraordinary care provided by Dr. Yonatan Halevy, Director General, along with a team of outstanding medical staff. Kurt experienced some mild abdominal discomfort over the period of several days which he believed would resolve in time on its own. Unfortunately, that wasn’t the case and he felt so uncomfortable after the early morning service at synagogue on the morning before Rosh Hashanah that he decided to take a cab to the Emergency Department of Shaare Zedek Medical Center. It was decided that treatment for Kurt’s condition would require the insertion of a nasogastric tube through which fluid and antibiotics could be pumped into his stomach over a 48 hour period. Fortunately, he responded well to treatment and the blood flow resumed to the affected area of the intestines. If not for the availability of state-of-the-art equipment, such as the ultrasound and MRI for diagnostic purposes, along with the quick action of the medical staff, as well as the intensive non-invasive treatment procedure, Kurt may likely have required emergency surgery which always has the potential for post-surgical complications. Kurt was extremely fortunate that he went to the hospital when he did and put his trust in the expert medical care provided at Shaare Zedek Medical Center. According to Kurt, “If I knew before this episode that Shaare Zedek was a fine hospital, I certainly experienced it now as extraordinary in many respects. The courtesy, helpfulness and hands-on service of doctors and nurses, reflects the personality of Yonatan Halevy who guides the “ship” on a daily basis. 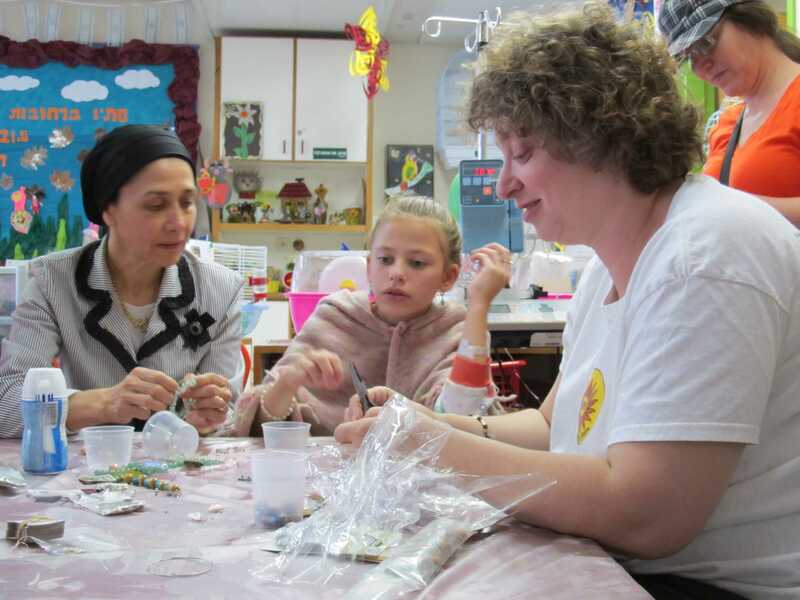 A mosaic of cultural and racial differences, the staff of Shaare Zedek, its patients and their visitors, mirrors the diverse population of Jerusalem. An Orthodox Jew himself, Kurt mused that it was interesting to receive care not only from Jewish staff, but also from Arab medical staff as well, who provide excellent inpatient care regardless of the differences in religion, race, culture or political view. Compassionate care is the hallmark of Shaare Zedek and why it has earned a reputation as a “Hospital with a heart”. Kurt remarked that though bedridden on the High Holy Day, he felt that the atmosphere in the hospital reflected the sanctity of the day, contributing to the social and emotional benefits of the patients. Kurt’s six days spent at Shaare Zedek were extraordinary and a lifesaving experience. A grateful patient, Kurt has been involved with Shaare Zedek for almost 50 years. 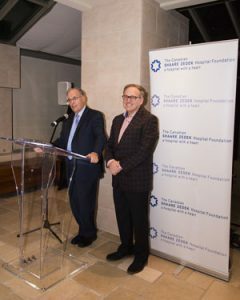 A long-time financial supporter, Board Member, and founder of the Canadian Foundation, in addition to being a member of the International Board of Governors, Kurt together his beloved wife Edith, have made it a lifetime task to give back to the community of Toronto and of Israel what they feel the community has given to them. His philanthropic spirit and energy is contagious. We are so grateful that his story and experience has resulted in a positive outcome!